South Sutton Hello! ( www.suttonsouthhello.com) was set up in 2012 as a result of collaboration between local Councillors, associations, residents and churches, with the help of our Sutton South Safer Neighbourhood police team and voluntary organisations like Age UK Sutton and the Sutton Centre for Independent Living. Heather Honour, former Liberal Democrat Councillor, chairs the Board and has worked hard to involve all aspects of the community in the project. 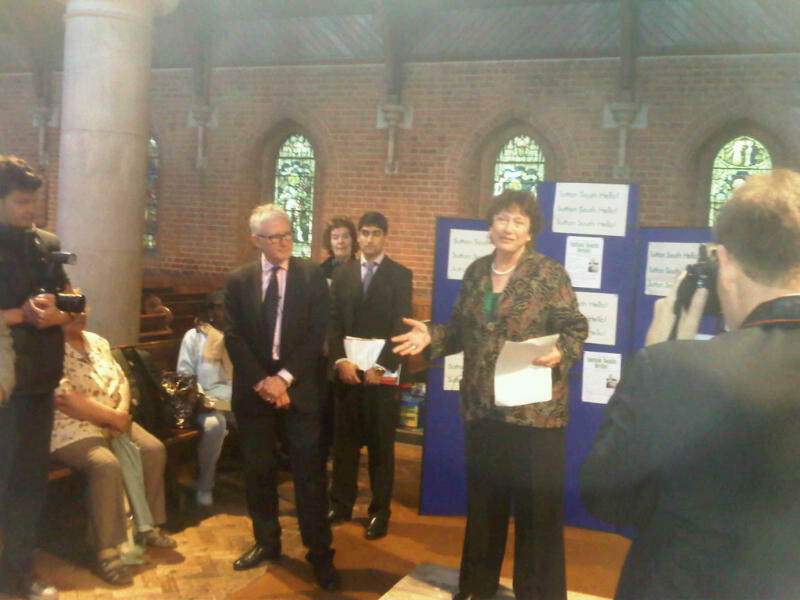 It was launched at Christchurch, in Christchurch Park, on 9 May 2012 by the Care Minister, Liberal Democrat MP Norman Lamb, and was the pilot for similar initiatives elsewhere in the Borough. – but a quarter of residents in the Ward say they regularly volunteer in some capacity, so there is a high level of community activism. Hello produces quarterly newsletters in which it informs residents about local activities and where to go to for advice. Each week the Wednesday “Hello Club” meets at Christchurch Hall between 2pm and 4pm for games, chat and guest speakers. On Thursdays, Hello Arts and Crafts invites local people to share their skills and learn new ones. Hello is very diverse and has strong links with Asian organisations for older people in the area. In fact, Hello has a wonderful time celebrating Diwali, the Festival of Light, each year. 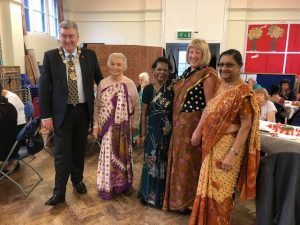 Councillor Nali Patel, Sutton’s Older People’s Champion and Deputy Mayor for the year 2016/17, is a key member of the group and keeps Hello in touch with other initiatives in the area. On the first Wednesday of every month Hello holds a “reminiscence session” where members tell each other about their life experiences. These have proved increasingly popular and have brought the group closer together. 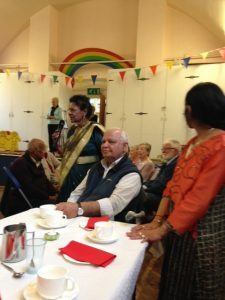 Other activities in the Ward include the “Second Saturday” social club for older people at the Friends’ Meeting House every second Saturday of the month. On 24 February 2015 Sutton South Hello received an award in the Sutton Community Awards annual awards ceremony. This was in the “Community Spirit” category for actions that have brought the community together through community events. On 26 March 2015 the Thursday afternoon Hello! Arts and Crafts Group launched a major exhibition at the Honeywood museum. 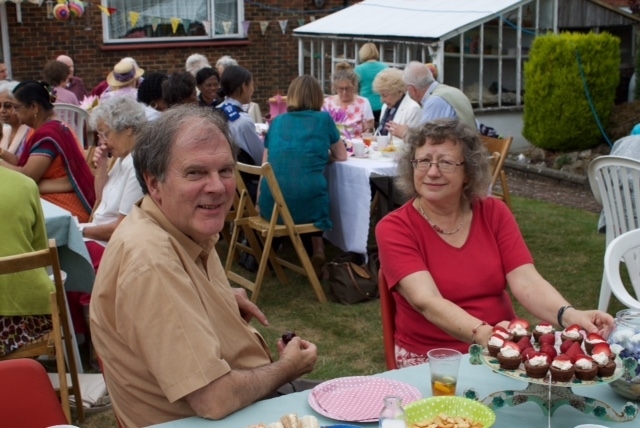 Each August, in 2015 and 2016, it has held very successful garden parties, which Richard has attended. And on 16 September 2015 the first AGM was held, at which Richard was appointed a trustee of the organisation. 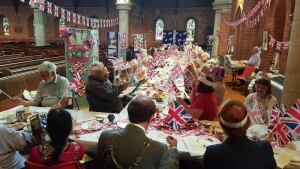 On 15 June 2016 Richard and Gloria, as Mayor and Mayoress, attended Hello’s birthday party for the Queen’s 90th. birthday. And on 1 November 2017, and 7 November 2018, Hello again celebrated Divali.